3. Cut out slightly larger hearts from red construction paper. 5. 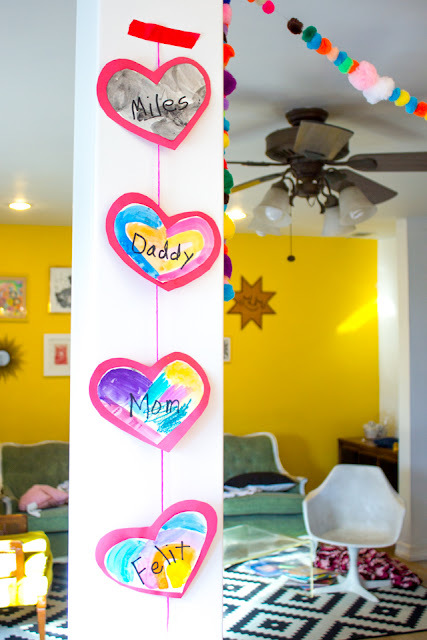 Help children use white glue to adhere their painted hearts to the construction paper hearts. 6. 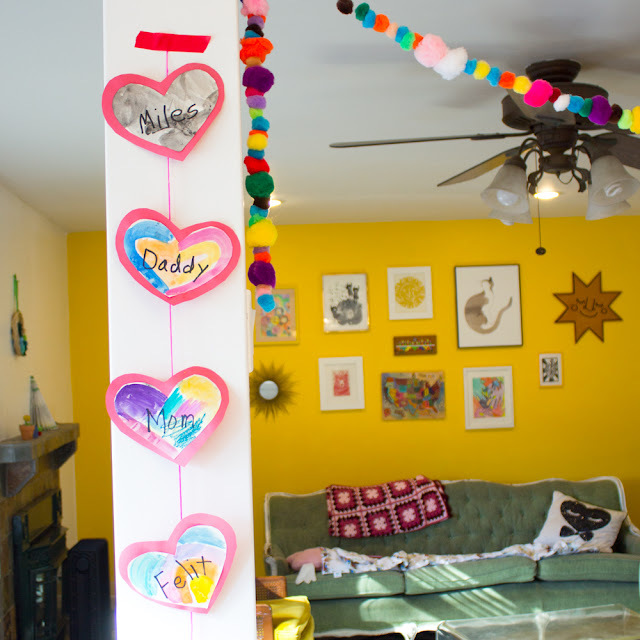 Use a piece of masking tape to stick the hearts to a piece of yarn. That's it! 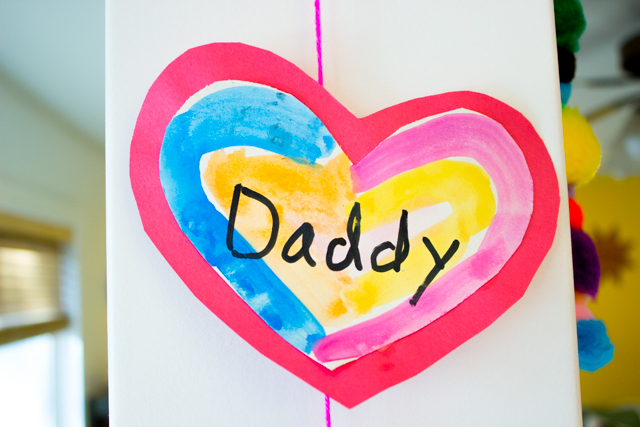 This is super pretty and simple Valentine's heart craft that all kids will enjoy making. And if you're looking for more Valentine's day crafts, check out the links below!